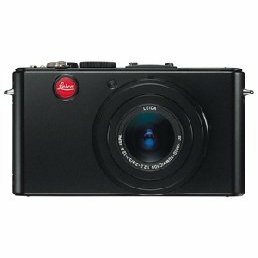 My favourite camera related site on the internet, Dpreview.com, has reviewed the highly anticipated camera Leica X1. The X1 is very special by that is has a fast and fixed lens, and by that it has a large APS-C sized sensor. The Leica X1 comes with a hefty price tag so it is interesting to see if the reviewer thinks the $2000 is asking for the camera is worth it. Read the full review done by Dpreview of the Leica X1 camera here. 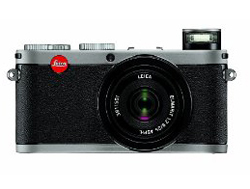 Leica has updated the firmware for their compact camera, the Leica D-Lux 4. Firmware version 1.20 includes improvements for auto white balance and auto focus on the Leica D-Lux 4 camera. Download firmware version 1.20 for the Leica D-Lux 4 camera from the Leica website. 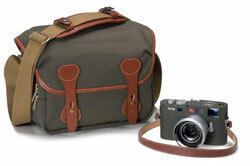 Leica has announced a special edition of their M8.2 camera. The camera is called Safari Special Edition and comes with a special edition of the Leica ELMARIT-M 28mm f/2.8 ASPH. lens. The camera set is limited to 500 copies so this will be very exclusive pieces of photography equipment and the price tag of $10000 adds to the exclusivity. Leica has announced that they are accepting submissions for the 2009 “Leica Oskar Barnack Award”. This year is the 30th edition of the Leica photography competition. The winner receives 5,000 euros or, alternatively, Leica camera equipment to the same value. The winner of the “Newcomer Award” will be awarded 2,500 euros. The winner photos will also be displayed in a special online gallery for one year. Visit the official “Leica Oskar Barnack Award” website for more information. January 23, 2009 – Submissions for the “Leica Oskar Barnack Award” 2009 are now being accepted. All photographers can enter the competition and view contest rules online at www.leica-oskar-barnack-award.com. A renowned photographic competition, the “Leica Oskar Barnack Award” is celebrating its 30th year. To commemorate this landmark, Leica Camera AG has revised the entry conditions and has made numerous changes to the award process. Entries for the Leica Oskar Barnack Award 2009 will be accepted exclusively as online submissions between January 15 and March 1, 2009. All photo series submitted will be displayed in a special online gallery section of the Leica website for a period of one year, ending with the request for entries for the new competition. Additionally, a “Newcomer Award” will be incorporated into the competition for the first time, open to all (prospective) photographers age 25 years and under. An international jury awards the “Leica Oskar Barnack Award” / “Leica Oskar Barnack Newcomer Award” to photographers whose unerring powers of observation capture and express the relationship between man and the environment in the most graphic form. Entry submissions must be a self-contained series of twelve images in which the photographer perceives and documents the interaction between man and the environment with acute vision and contemporary visual style – creative, groundbreaking and unobtrusive. The winner of the “Leica Oskar Barnack Award” will receive 5,000 euros or, alternatively, Leica camera equipment to the same value. The winner of the “Newcomer Award” will be awarded 2,500 euros. The prizes will be presented in the course of the Rencontres Internationales de la Photographie photographic festival held in Arles, France.